PDF is the most popular file format used for electronically distributed documents. It may be used for documents with any number of pages and for complex documents that contain a variety of fonts, graphics, colors, etc. 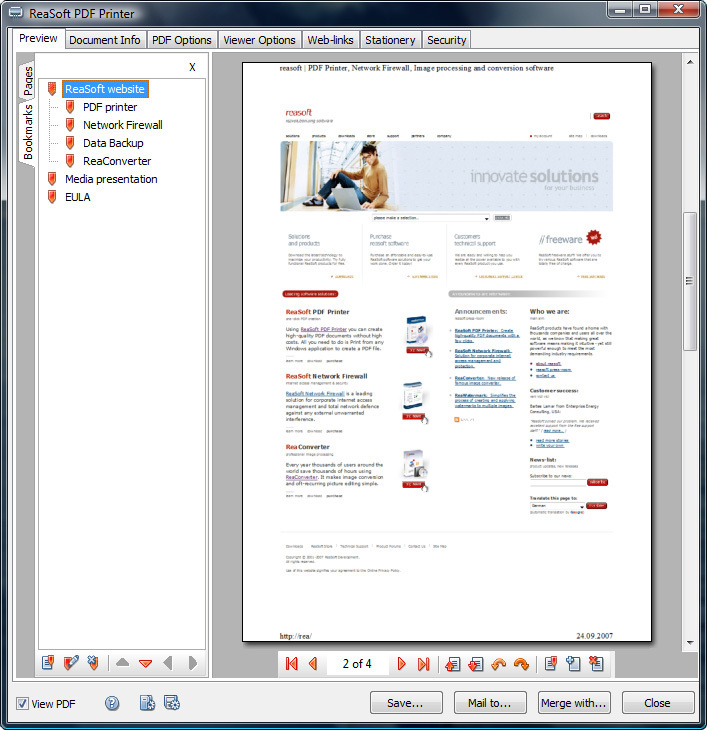 PDF format ensures that your documents retain its formatting and look the same on any computer. With ReaSoft PDF Printer you can control the look of your PDF files virtually without any limits. Add headers and footers with data, time, page numbers, etc. Download ReaSoft PDF Printer trial! Please refer to our support section for description on all available support options and our contact information.